Ponder: Giving Teachers a View of the “invisible” process of learning through reading. Ben Stern, the Academic Liaison for Brooklyn-based Ponder, was kind enough to answer a few questions about the education software that the company has built. Ponder gives teachers an unprecedented look in to what the company calls the “invisible” process of learning through reading. It is really quite an interesting product. What does Ponder do, and how do you do it? Students cultivate a habit of close reading and teachers get a view into the otherwise invisible process of critical reading. Instead of assigning 1 reading response a week that takes another week to turn around, students create a dozen micro-responses a day that can be reviewed in 10 minutes before students return to class, transforming the teacher’s ability to respond to students’ interests and needs. Ponder is a browser add-on, iOS app and data analytics platform. 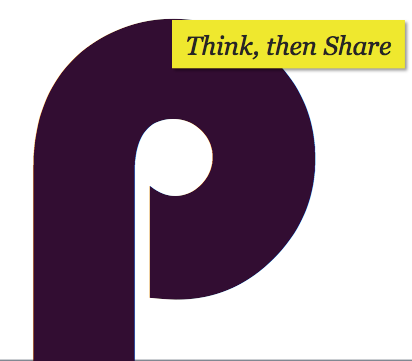 Ponder works on any content that can render in a browser on the web. What problem are you taking on? We pay a lot of lip service to the idea of inquiry-based, self-directed learning, yet today’s digital tools for the humanities are still limited to a set menu of predefined texts and answering canned multiple-choice questions. We believe learning happens through asking questions, not answering them. So we created the micro-reading response, a Socratic LIKE button of sorts: Ubiquitous and spontaneous yet challenging and rigorous. Tell us your founding story, what led to the creation of Ponder? Friends with a group of avid readers, Alex thought that Big Data could help streamline the process of sharing reactions to articles with one another. He built a primitive version of what we know now as Ponder just to make reading together easier. One friend was a college professor who immediately appreciated the benefit of Ponder to his class. After doing a trial run, it became clear that Ponder could help many classrooms, and from there, the business was born. Tell us a little bit about the founder. Alex Selkirk, our Founder, has been building Big Data Analytics systems for over 10 years, first at Epinions and then Microsoft. Although Alex has spent his entire career in technology, he major in Political Science at Yale University where he also built solar cars, so he is passionate about a humanities-driven approach to building technology. What do your current goals look like? Now that we’ve gained significant traction in K-12 and Higher Ed, we aim to dedicate resources to expanding the insights that can be gained from deep sentiment and article metadata analysis. We hope to generate heatmaps for any reading that someone has “Pondered”, revealing patterns of reactions to various ideas and topics around the world. Anything else you want to leave us with? We love reading, and we just hope to build the best, least intrusive, most powerful reading tool we can for all our beloved students and teachers.